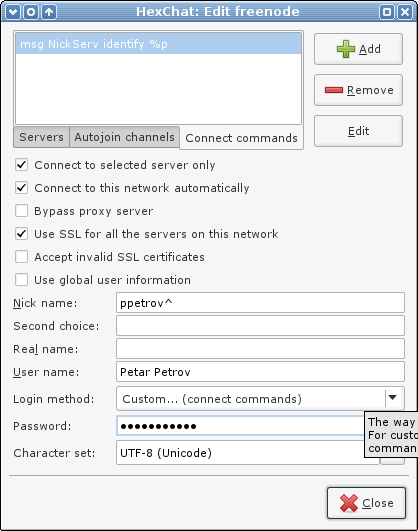 With Slackware 14.2, XChat got substituted by HexChat, which has a very similar look and feel. For several months I would login manually every time, typing the identification command… Anyway, I decided to make things a bot more convenient and this time write it down. Of course, among the channels I specify in the Autojoin channels tab are ##slackware and #slackbuilds.